Every three years, a major international training event is held. This event is hosted by a different national chapter each time, and is attended by students and instructors within our style from all over the world. The event is usually a 4-day event with senior Shorinji Kan Jiu Jitsu instructors from several countries teaching small specialized seminars, culminating in a main mat day with everyone training together. Jitsu Canada was privileged to host the 2003 and 2016 Jitsu Internationals. 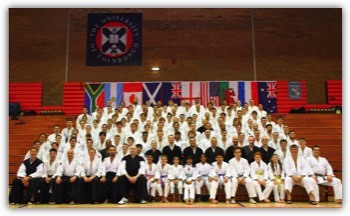 For details for the next Jitsu International click here.